Out of Stock. May be backordered. Expected in Stock 07/08/2019. 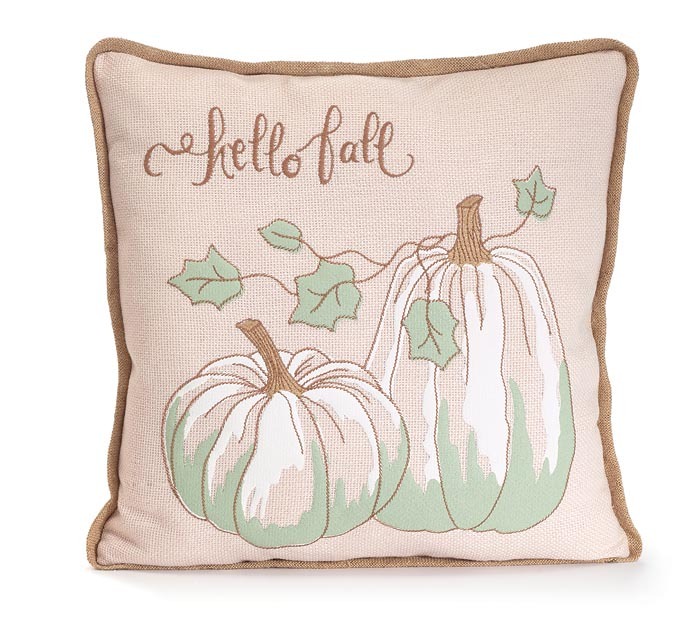 Square pillow with fall pumpkin and brown piping. Message in script that says " Hello Fall". Made of fabric with a white applique and embroidered pumpkins. 18" H x 18" W x 5" D.